City Council members Helena Moreno, Jason Williams, and Jared Brossett are withdrawing their resolution to rescind the council’s approval for Entergy New Orleans’ $211 million power plant in eastern New Orleans. That resolution was supposed to be up for debate at Thursday’s utility committee meeting. Under what Moreno’s office described as a “potential settlement,” the council will instead consider a resolution to impose a $5 million fine on Entergy over the use of paid supporters at council meetings last year and in 2017. The money will be directed towards improvements for the Sewerage and Water Board. The resolution says that the company will bear the full cost of the payment and will not pass it along to ratepayers. The resolution would also amend the council’s March 2018 approval of power plant, calling for new cost protections for consumers, new maintenance requirements for the plant, and a review of new technologies which could “modify or supplant” the gas plant. All five member of the council utility committee are sponsors of the resolution, according to Moreno’s Chief of Staff Andrew Tuozzolo. 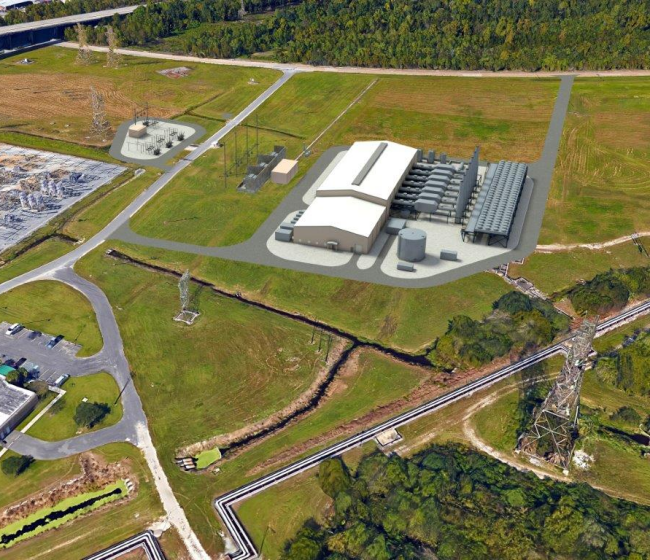 According to the release, Entergy has already spent $96 million since the plant was approved by the council in March 2018. New Orleans ratepayers could potentially have to pay those costs even if the plant were to be cancelled. One of the council’s contracted consultants who advises council members on utility regulation matters, including the Entergy plant, told The Lens last month that it was not yet clear how much New Orleans customers would be responsible for. Monique Harden, a lawyer for the Deep South Center for Environmental Justice, told The Lens on Tuesday that the council had “bowed to Entergy” by withdrawing the original resolution. Harden represents a coalition of power plant opponents in an ongoing lawsuit against the city claiming that the hearing process violated their due process rights. They are demanding that the city vacate its approval. Last month, Harden agreed to put the suit on hold pending a consideration of the resolution to rescind, but now that the resolution is being withdrawn, she intends to move forward in court. “We look forward to having our day in court on behalf of residents who have been cheated out of a fair process and deserve better than being forced to pay for an obsolete and polluting plant,” she said.